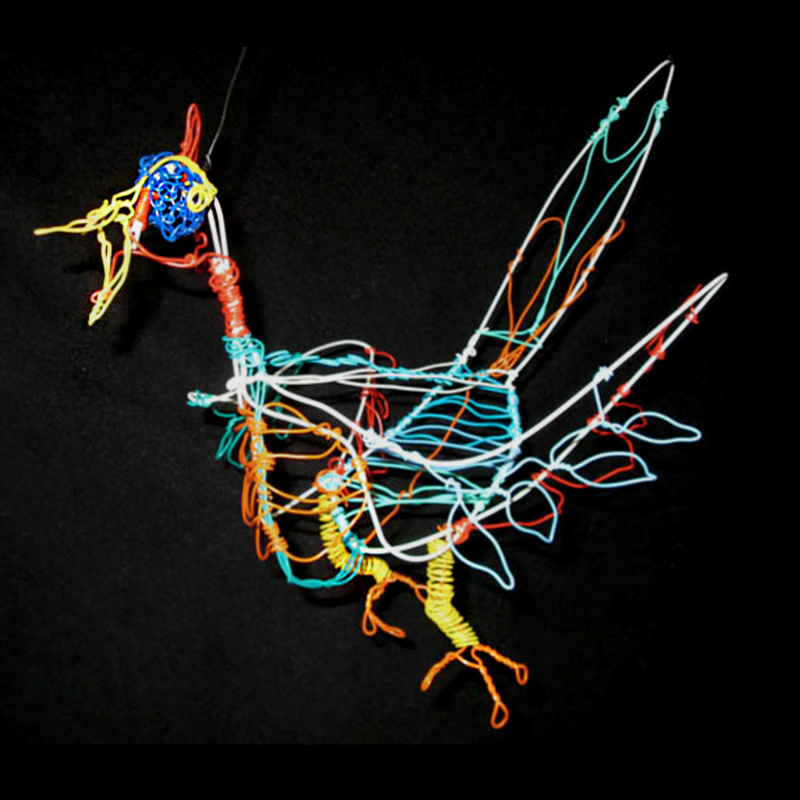 Wire coat hangers act as a rigid support frame to attach Twisteezwire. 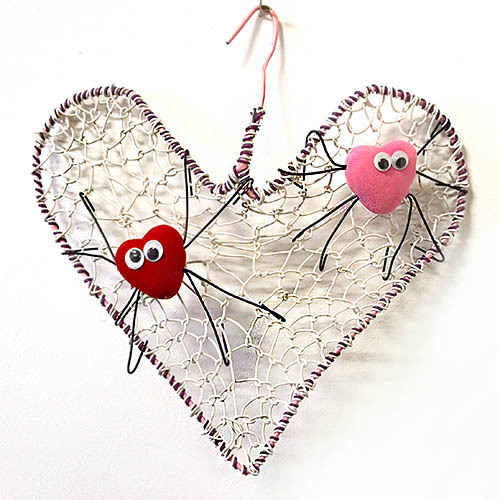 Use hanger in combination with our wire to make Valentine’s hearts, Halloween masks, butterflies, birds, bish and many other colorful wire projects. Coil, twist and weave Twisteezwire around the coat hangers. 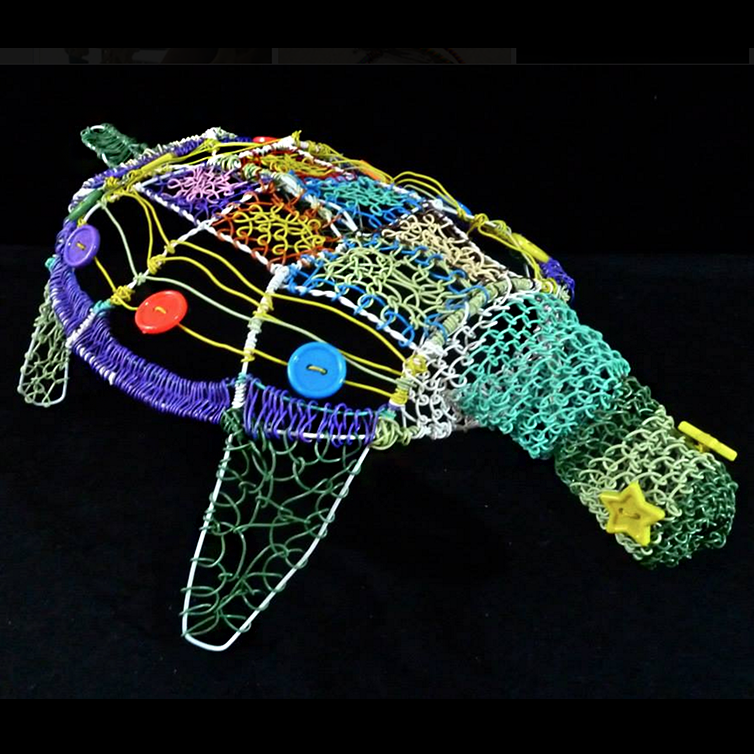 String beads and buttons through Twisteezwire. 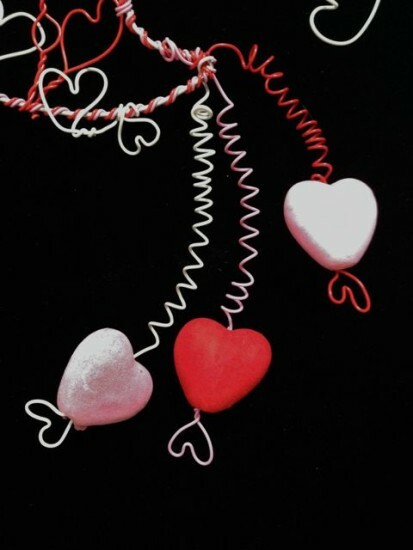 You can even string candy through the wire or attach a valentine card. 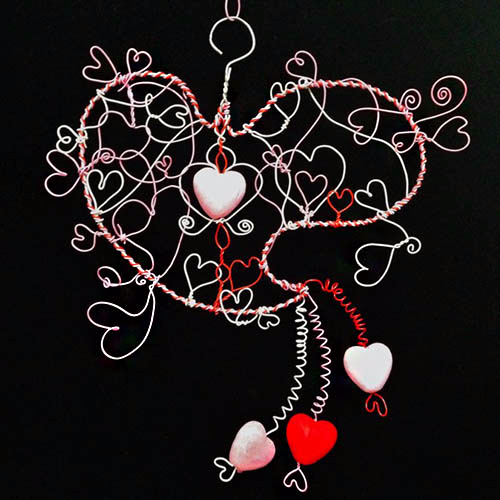 You can hang your wire heart from the hook and make a mobile. Remember to be creative. No two hearts are the same!. 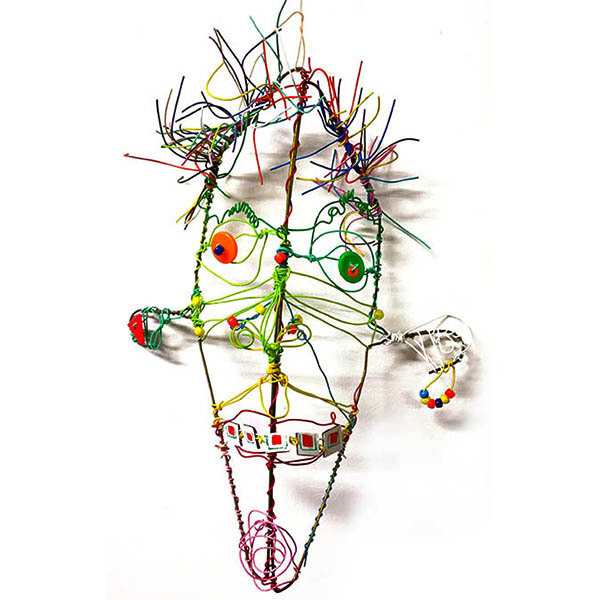 Click image above to see wire coat hanger projects. 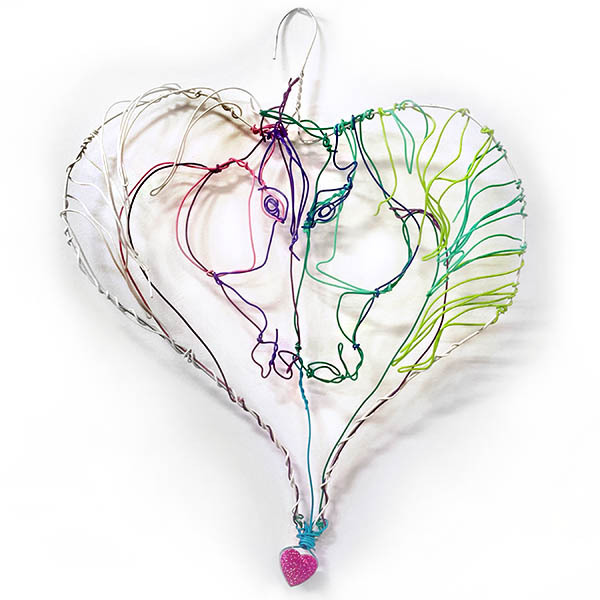 Make wire hearts, masks, birds, turtles and figures. 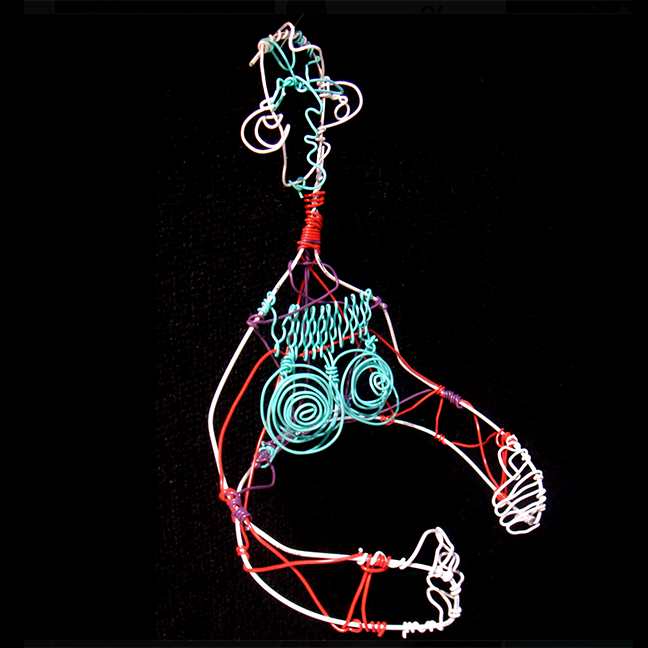 Start with a wire coat hanger. 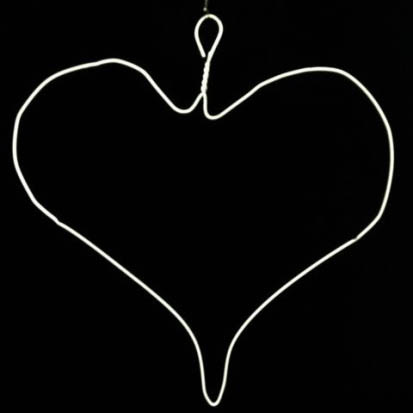 Shape coat hanger into shape of a heart. 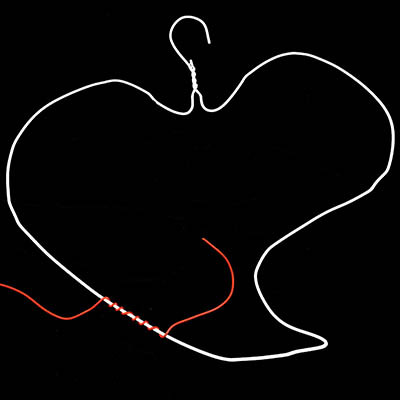 Leave hook in middle to hang the heart. 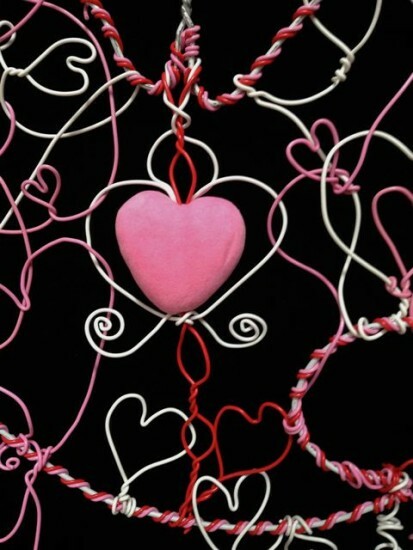 Modify heart shape as you like. 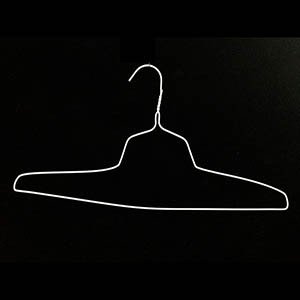 Wrap a Twisteezwire evenly around the perimeter of the coat hanger. 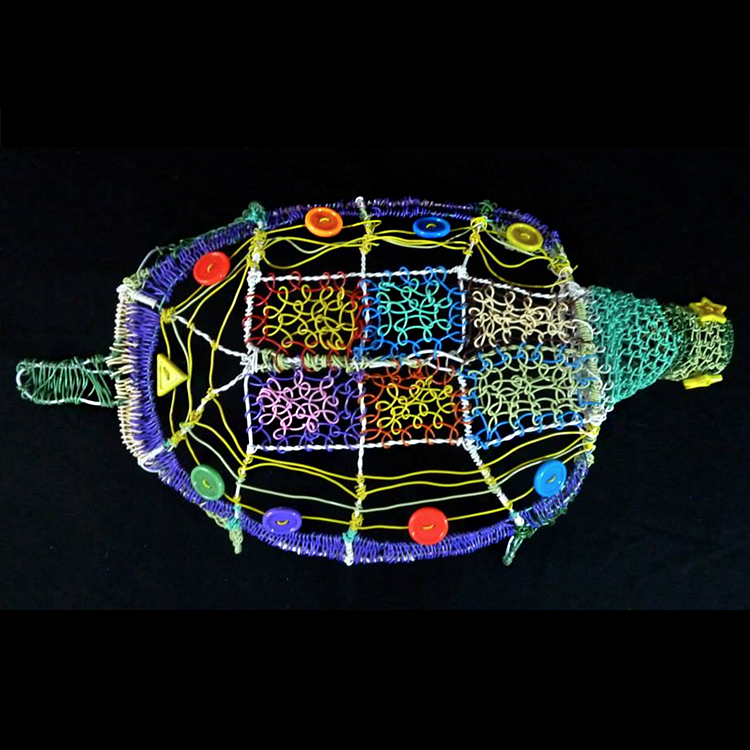 This holds wires in place as you add more wire decoration. 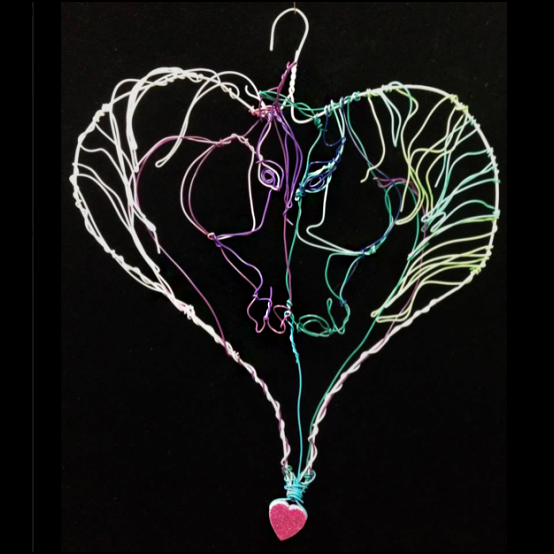 Twist wire into shapes and wrap around the wire hanger. 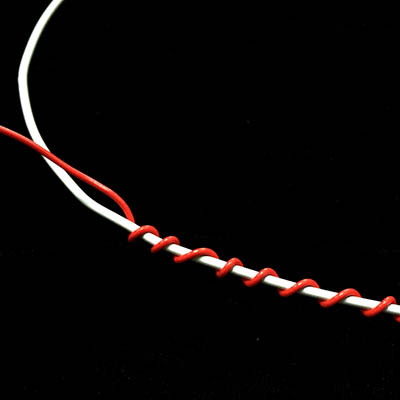 Add other colors of Twisteezwire. 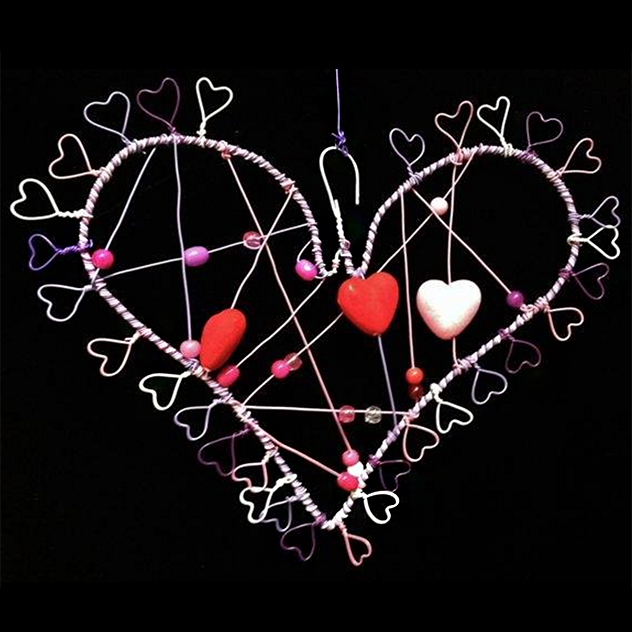 Make coils and heart shapes for Valentine’s decorations. 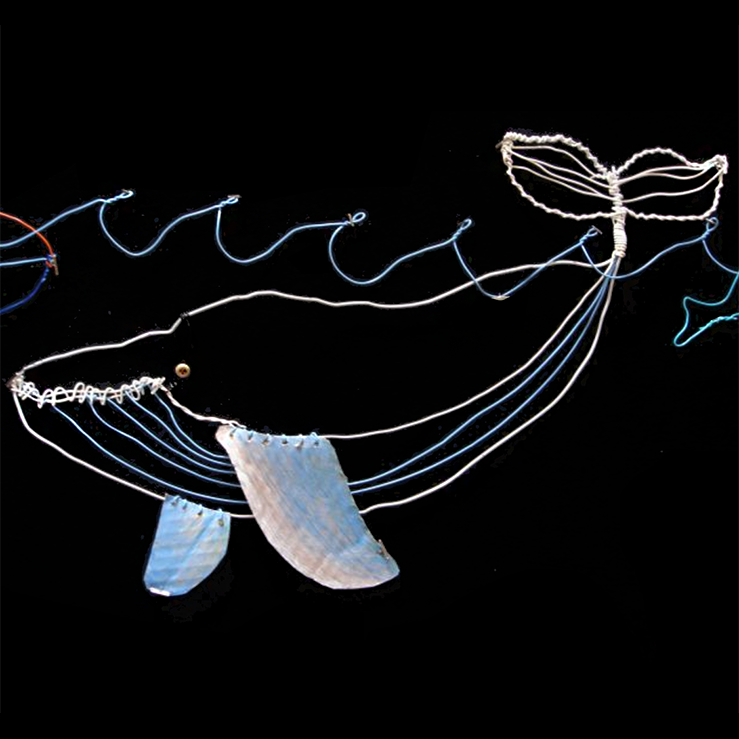 More wire artwork using wire hangers and Twisteezwire. 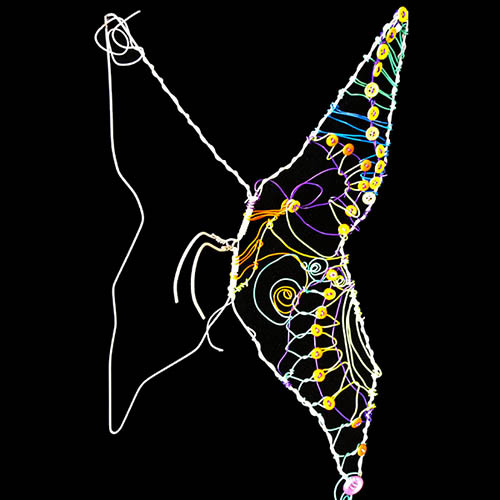 Half-completed wire butterfly using two wire hangers. This butterfly has wings that move.